In the arid desert of northeastern Iraq, just south of Erbil, lies a sprawling city of tents and ramshackle shelters. In less than a year, Debaga Camp has sprung up and swollen to a vast size as displaced Iraqi citizens flee the deteriorating conditions in their villages and towns. They seek respite from the seemingly never-ending conflict that has engulfed their country. Some families are lucky enough to arrive intact. Others are not so lucky as parents separated from their sons and daughters wonder if they will ever see them again, while relief workers and volunteers do their best to take care of children who have lost their parents. The situation at the camp is set to only grow more severe in the near future. Currently, Debaga hosts more than 30,000 internally displaced persons (IDPs), but that number will swell in the coming months as more people flee the fighting in nearby Mosul. Reports indicate that many of the IDPs are not being granted the right to enter the larger Iraqi cities due to security concerns. 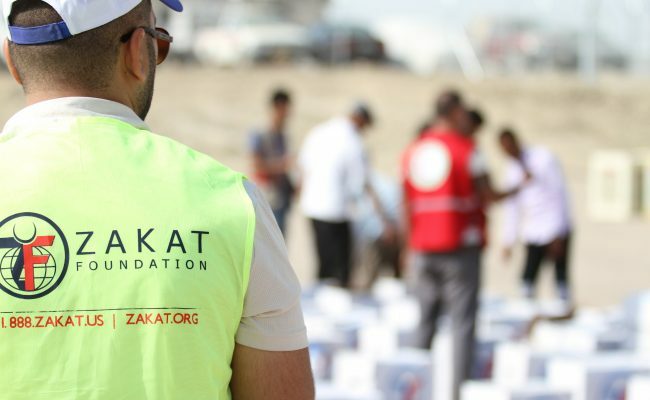 Zakat Foundation of America (ZF) has initiated relief operations for the distraught, isolated residents of Debaga, having recently sent a convoy of cargo trucks filled with fresh food supplies. 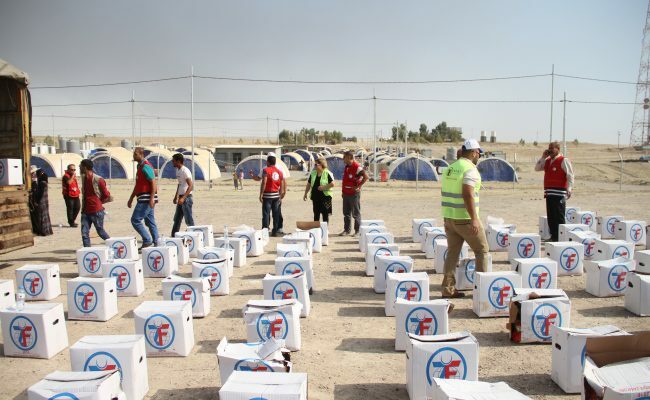 The large food crates benefited 400 families, or about 2,000 people, and contained a whole month’s supply of rice, sugar, oil, tea, cracked wheat, lentils, and flour. ZF is committed to alleviating the hardship of the Iraqi people and to bringing light into the darkness of constant conflict, no matter how long it takes. 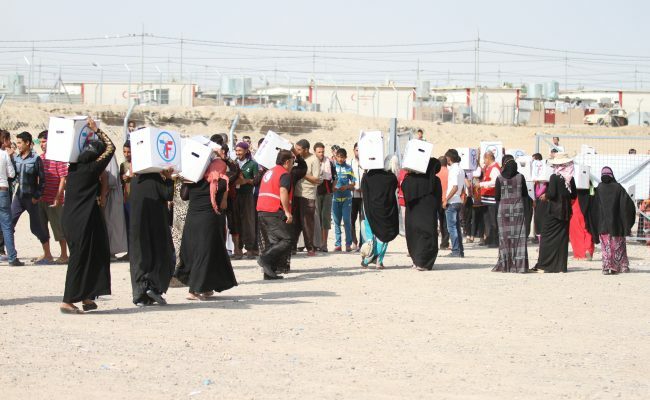 God willing, and with the help of its donors, ZF will continue to carry the soothing spirit of unconditional care to Iraq’s most vulnerable citizens.